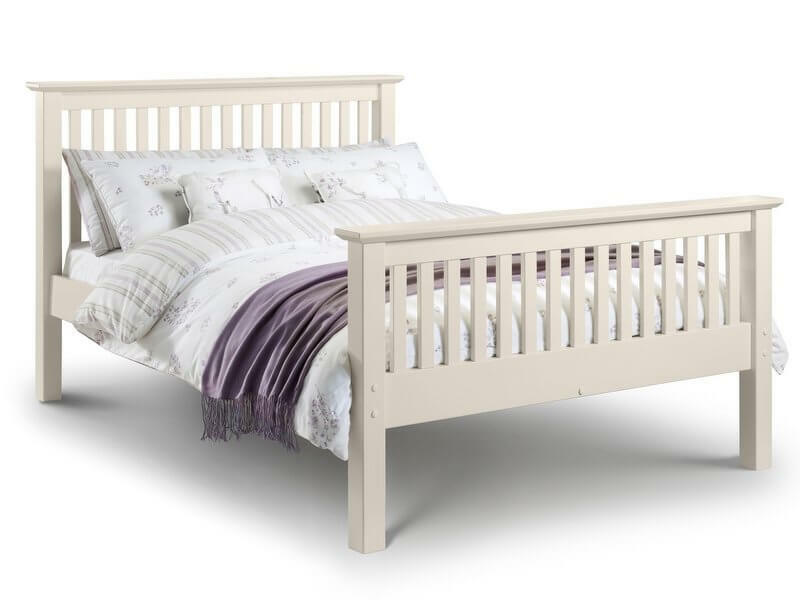 Create the perfect place to unwind at the end of the day with this shaker style stone white bed frame. 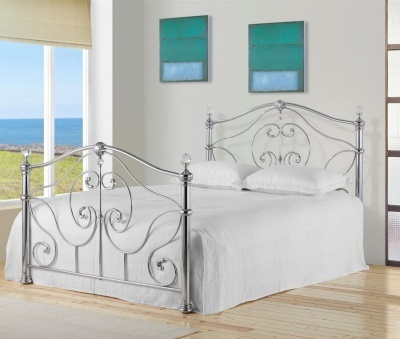 Match with crisp white bed linen for a romantic look. Slatted head and foot boards complete the look. Construction: solid pine and MDF with a slatted base to a high standard. Protected with a hard-wearing smooth stone white lacquer for a lasting finish. Colour: Stone white which is an off white colour not brilliant white. Similar colour to magnolia paint. Fits a standard king-size mattress not included. Shown with the Cameo bedside table and under-bed drawer available separately.